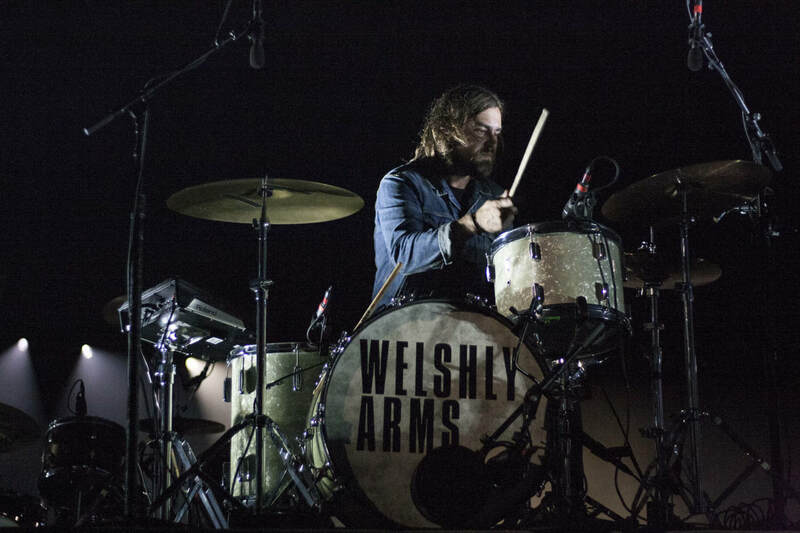 Welshly Arms performed first on Thirty Seconds To Mars’ Monolith Tour stop at The Forum in Los Angeles on Thursday, July 19. 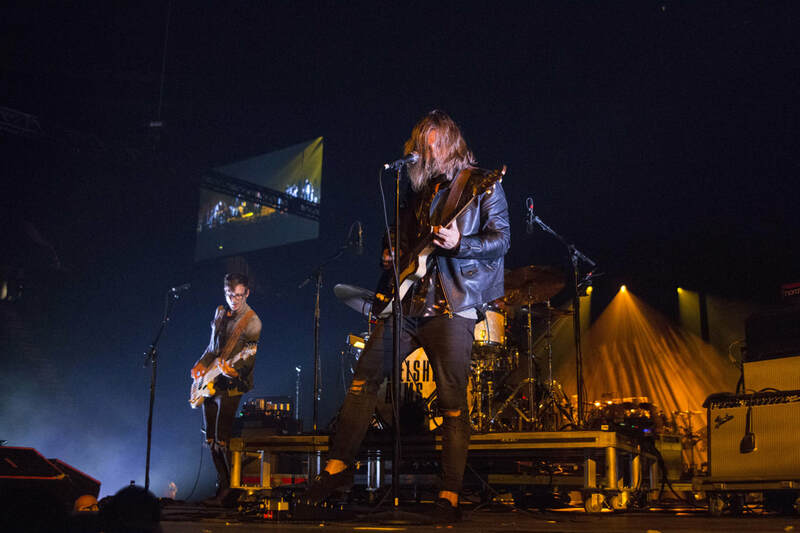 The Cleveland-based six-piece filled the arena with a unique blend of rock, blues, soul and gospel as concertgoers began to pile in. Welshly Arms used a majority of their stage time to play songs off of their newly released debut album No Place Is Home that dropped on May 25. Lead singer and guitarist Sam Getz was a dynamic performer – the frontman’s spins and hairflips were not uncommon during the band’s set. 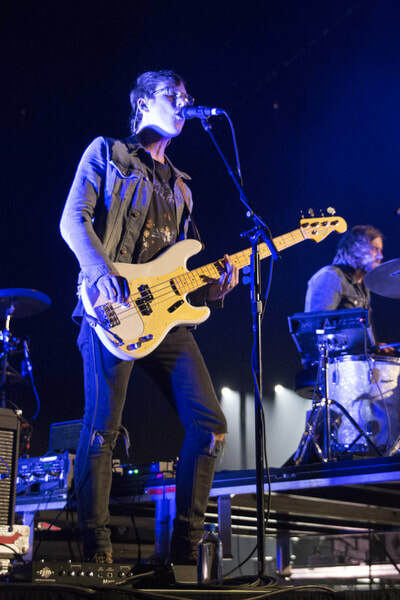 Getz seemed restricted by the relatively small stage that later expanded for headliner Thirty Seconds To Mars, but he still found room to rock out lively guitar solos and would frequently walk to the side of the stage to dance along with vocalists Bri Bryant and Jon Bryant. The Bryants had synchronized, choreographed moves which the audience went wild over. The group had a full, clean sound that was well-rehearsed and refined. 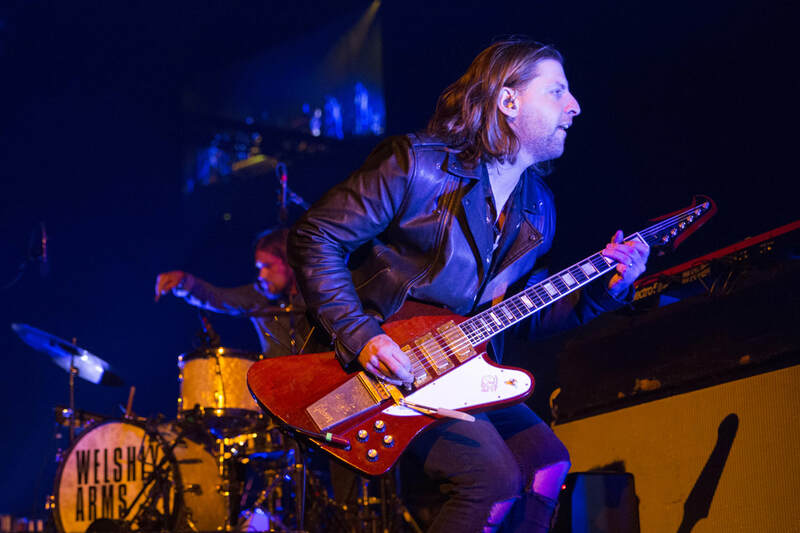 Their setlist included songs like “Indestructible,” “Sanctuary” and “Down to the River.” When Welshly Arms played their 2017 breakout single “Legendary,” Getz held up his guitar and let notes ring out. As lights flashed onstage and illuminated patterns floated around the venue’s walls, Getz belted out strong vocals that at times would turn into a raspy scream – a fitting tone for the band’s predominant rock melodies. 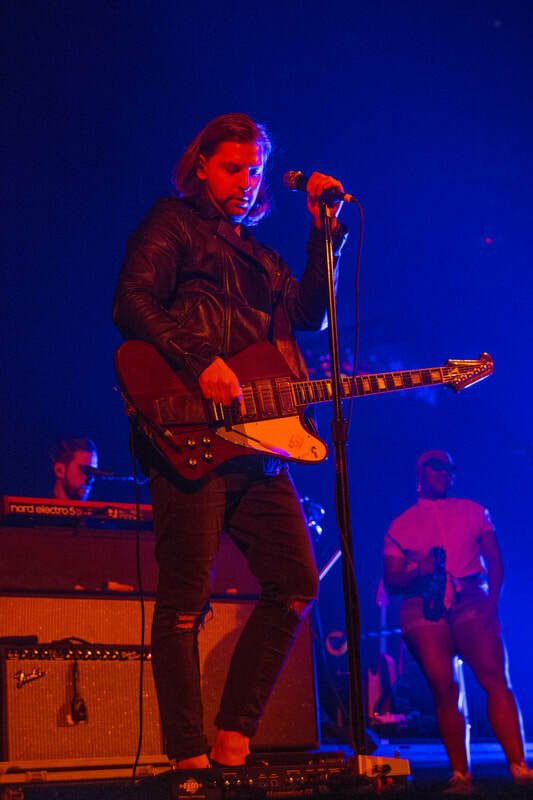 Before Welshly Arms’ last song, Getz encouraged the crowd to turn up the energy and said, “I wanna feel it baby, I wanna feel it!” Mikey Gould leading in with powerful drums, the group ended with “Never Be The Same.” Feeding off of audience enthusiasm, Getz put on a grand finale for fans to remember by running around stage while playing guitar behind his head. The midwest band thanked Los Angeles for having them and told the crowd about their plans to return later this year. Welshly Arms will be back to play The Troubadour on October 23 on their first-ever North American headlining tour. ©2015 Omnisound Magazine. All rights reserved.